Thirty six hours after leaving San Diego, we arrived in Madrid. 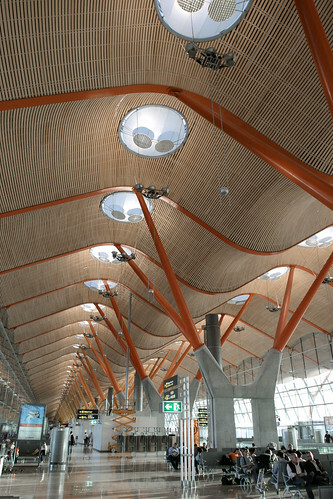 I was immediately impressed by the architecture of the Madrid Barajas Airport. I’m not sure if the lack of sleep from two red-eye flights had anything to do with the euphoria I was feeling on my way to the baggage claim, but I was fascinated nonetheless. 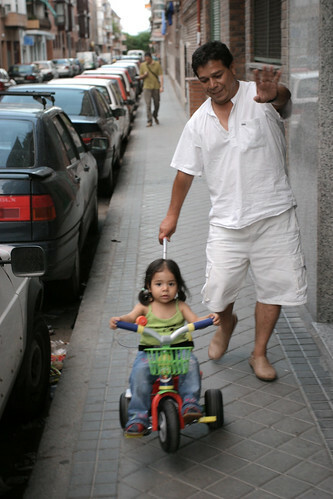 Our hosts for the 24 hour stay in Madrid were relocated Peruvians Graciela, Hector and their little girl Gracielita. It was my first time meeting them; Rosario met Hector and Graciela in Perú four years ago. 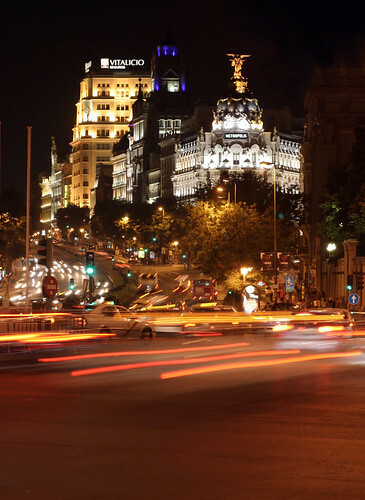 They’ve moved to Madrid in search of a “better life” as the saying goes. I typed out “American Dream” and then deleted it because I suppose it couldn’t be accurate since they are in Spain . . . but it’s basically the same ambition. When we arrived at their flat, Graciela offered us the famous Spanish jamón serrano with cheese on triangles of white sandwich bread. It’s a good thing my understanding of “authenticity” is already well warped, because a Mexican and U.S. American served a traditional Spanish food on white bread by Peruvians would otherwise seem strange. I ate my serving and Rosario’s as well (she hadn’t warmed up to the idea of eating raw pig yet). We took a nap to recover a bit from the jetlag and then headed downtown for a tour. 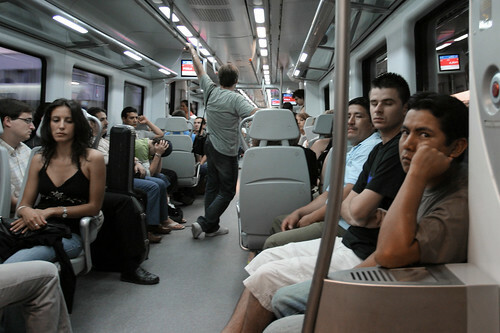 The urban train system was much cleaner than the NYC metro we used 12 hours earlier. We wandered around and took a few pictures. The central downtown area was beautiful. It’s no coincidence the architecture reminded us of older cities in México; many of these buildings could have been built by the same people at the same time in México. We left the next morning on route to Elche. So glad you’re back on the blog! Missed your posts, and look forward to hearing about – and seeing photos of – the trip.